Are you limited for space on your driveway? Fed up of always struggling to find a parking space on the road or having to walk a distance because there’s nowhere to leave your car at the front of your house? In many towns and cities this is a growing problem and was the same for a client of Planet Surfacing who was living in Heald Green, Stockport. Our clients in Heald Green, realised that they weren’t fully utilising the area at the front of their house and with two cars, they only had room to park one next to the house. As a result, they decided to create more space across the front of their house by removing the grass turfed area and extending their driveway. While it was decided that a border for shrubs and trees was left in for decorative purposes, it was agreed that the rest of the space at the front of the house be used as a driveway and parking area. 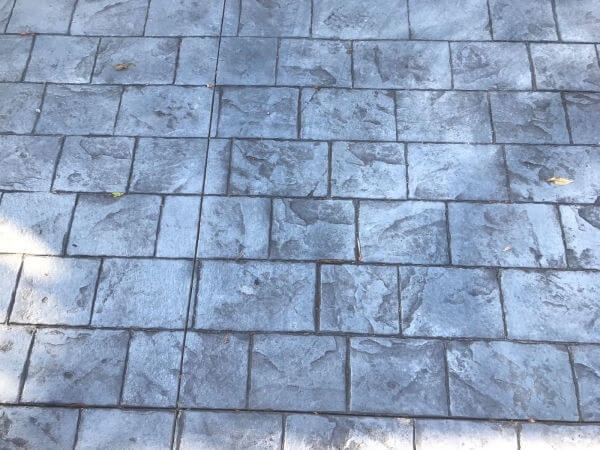 Our clients opted for a pattern imprinted concrete driveway to be coloured in platinum and printed in large London cobble. This is an ideal option for driveways as well as pathways and patios. A grip system is used every time we install a new driveway to ensure a non-slip finish. The driveway was finished with a mid-sheen sealant which we apply using either a paving sprayer or soft brush. The customer was really pleased with the end result and now that the grassed area has been removed they can get two cars on their driveway! You can see the beautiful results from the photographs included. 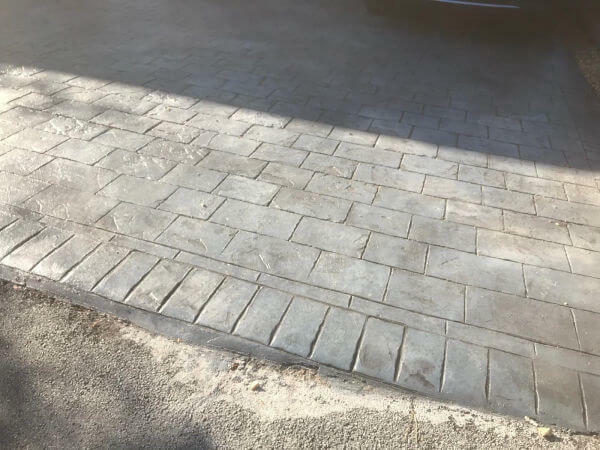 If you want a weed free and stain resistant driveway that’s low maintenance and hardwearing, a pattern imprinted concrete driveway could be the ideal option. 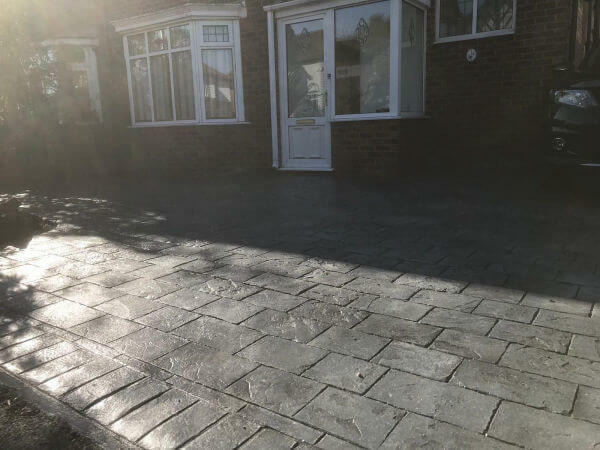 For more information or a free quote, please call Planet Surfacing today on 0161 945 1208.